Nestled in the small village of Tadten, Austria, the Erich Sattler Winery takes advantage of the soil’s temperature and sun’s trajectory to create the ideal environment for producing unique local varietals. 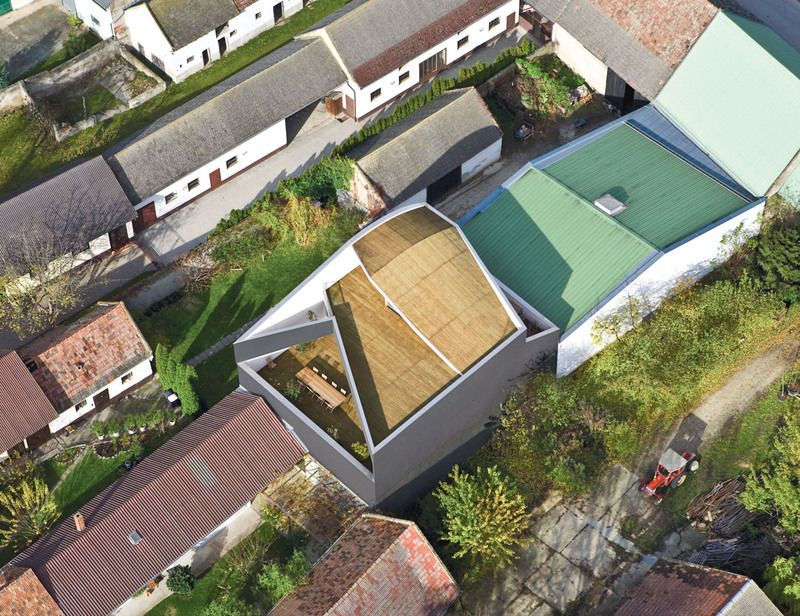 When Austrian entrepreneur Erich Sattler refocused his family’s business from mixed agriculture to grape growing, he needed headquarters to house the budding wine enterprise. He turned to his architect brother, Kurt, to design a winery capable of production, bottling, and cellaring on the ground-floor wine hall, with guest accommodations, presentation space, and an office in the wine loft above. Read the full story here. 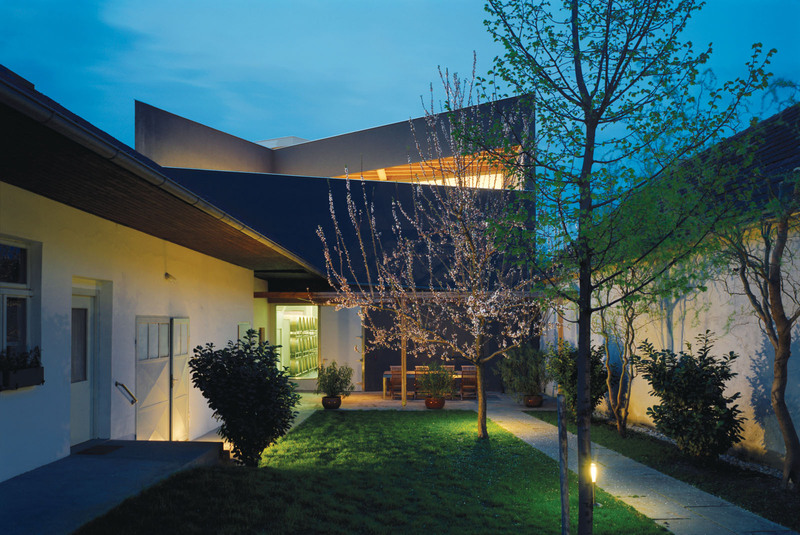 The winery is nestled in a residential area in the city of Tadten in eastern Austria. 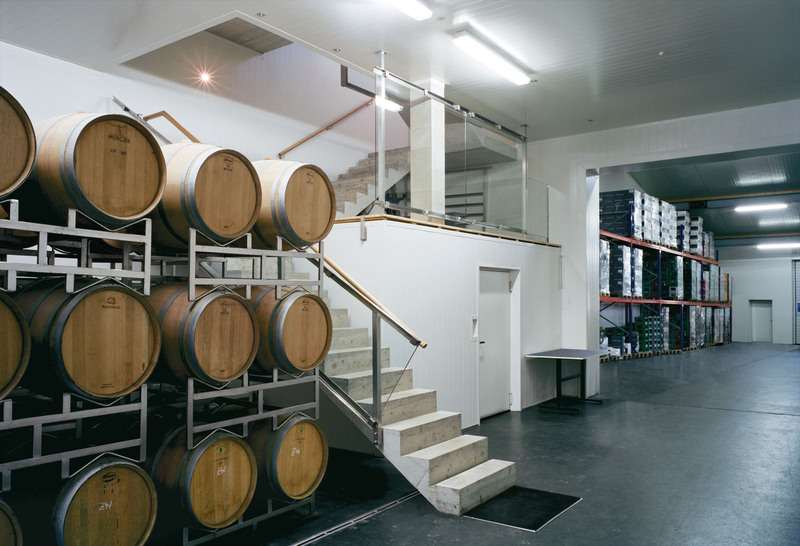 The interior of the Sattler Winery is kept at a constant 60 degrees Fahrenheit. When Austrian entrepreneur Erich Sattler refocused his family’s business from mixed agriculture to grape growing, he needed headquarters to house the budding wine enterprise. He turned to his architect brother, Kurt, to design a winery capable of production, bottling, and cellaring on the ground-floor wine hall, with guest accommodations, presentation space, and an office in the wine loft above. Though it isn’t the only winery in Tadten—their residential adjacency is common in the region—Kurt explains how its distinctly modern styling sets it apart.